Featuring around 180 works from 1917 to 2000, this exhibition highlights the variety of photographic portraits of artists, while also giving an overview of the Who's Who of art history in the last century. It features portraits of illustrious artists like Pablo Picasso, Salvador Dalí, Frida Kahlo, Andy Warhol, Jeff Koons and Marina Abramović, produced by an equally broad range of photographers, both famous or lesser known, including Berenice Abbott, Brassaï, Henri Cartier-Bresson, Helga Fietz and Jérôme Schlomoff. The works are from the Platen Collection. 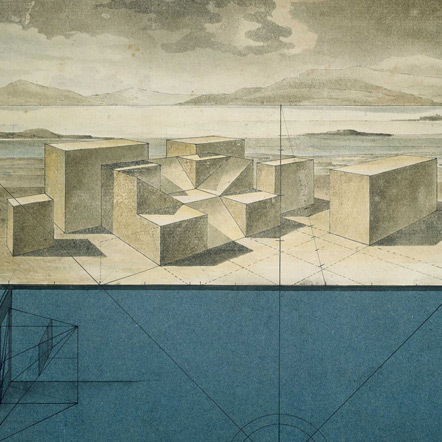 The idea of the artist is often associated with ingenuity, creativity and freedom of composition, while Carl Gustav Jung defined a ‘complex’ as a structure of feelings, thoughts and memories. This structure centers around a significant factor in the psyche and determines our thoughts and actions. Artist Complex brings the two concepts together, and investigates the artist as a visual phenomenon, composed of a particular set of ideas and motifs, shown in the photographic portrait. The extensive collection of Angelika Platen, who herself took photographs of well-known artists, brings together the diverse forms of photographic portraits of artists. In the summer of 2018, 160 highlights of the genre will be shown in Berlin’s Museum für Fotografie, presenting both traditional and experimental aspects of the genre. Works by popular photographers like Berenice Abbott, Brassaï, Henri Cartier-Bresson, Gisèle Freund, Heinz Hajek-Halke and Arnold Newman can be seen alongside lesser-known pieces by photographers including Helga Fietz, Hildegard Heise and Jérôme Schlomoff, who earned a place in the history of photography with iconic portraits of Georg Baselitz, Jean-Michel Basquiat, Max Beckmann and Ernst Wilhelm Nay. In addition, the show includes extraordinary works which go against the norms of portraiture, such as Christopher Makos’s photographs of Andy Warhol in drag. Divided into three sections, the exhibition opens up a tentative view into the minds of the various artists on show. The first section, Persona, explores the many facets of the artist’s roles shown to the public. Equipped with paintbrush, palette or camera, in a well-studied pose, artists such as George Grosz and Joan Miró present themselves at work in the studio. Among these images, self-portraits play a significant role, with images by the likes of Edward Steichen and Florence Henri. The section also encompasses disguises and caricatures, in portraits of Wols, Otto Dix and Salvador Dalí. Creativity, being a core incentive of the artistic process, is at the center of the show’s second section. It presents images of artists immersed in the creative process, but also empty studios and photographic distortions and reflections. Selected paintings, sculptures and drawings by key modern artists are on show as well and enable unique insights into the mutual influence between photography and the visual arts. The third section centres on the ancient myth of the sculptor Pygmalion. The myth of Pygmalion stands allegorically for the creative process, with its protagonist representing the ideal of the artist. In this section’s works, artists are shown as standing with their artworks. Starting with Robert Doisneau’s portrait of the sculptor Charles Despiau, the section encompasses portraits of Alberto Giacometti, Georgia O’Keeffe, Günther Uecker and Jeff Koons, with their works of art serving as symbols of their genius. Artist Complex – Photographic Portraits from Baselitz to Warhol. 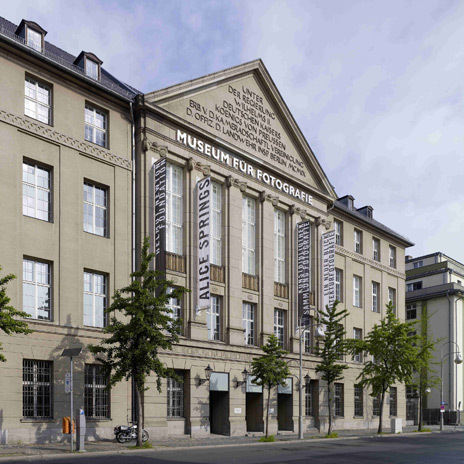 Platen Collection has received generous support from the Savings Banks Finance Group, main sponsor of the Staatliche Museen zu Berlin. Media partners are kulturradio vom rbb, and tip Berlin. A comprehensive publication by Kehrer Verlag accompanies the exhibition. c. 240 pages, ISBN: 978-3-86828-867-4, price: ca. 40 €.